At approximately 6:40 p.m. EST on November 27, Cygnus performed a safe, destructive reentry into Earth’s atmosphere over the Pacific Ocean east of New Zealand, successfully concluding the OA-5 mission. The mission, which began with a successful launch aboard the company's Antares rocket on October 17, delivered essential supplies to astronauts aboard the International Space Station, completed NASA's Spacecraft Fire Experiment-II (Saffire-II), and deployed four cubesats that will be used for meteorological research. The Saffire-II experiment, managed by NASA's Advanced Exploration Systems Division out of Glenn Research Center, successfully burned aboard our Cygnus spacecraft for approximately two hours on November 21. The experiment powered on just after 5:00 p.m. ET, and the first of nine samples was ignited just before 6:15 p.m. The OA-5 Cygnus spacecraft successfully departed the International Space Station at 8:22 a.m. ET on November 21 after spending 29 days at the station. 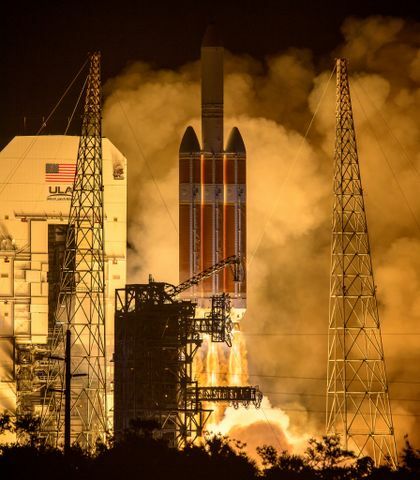 The spacecraft delivered essential supplies to astronauts on board, and will now release several NanoRacks Cubesats and conduct the Saffire-II experiment for NASA's Glenn Research Center. Cygnus is scheduled to re-enter the atmosphere on Sunday, November 27. Orbital ATK's Cygnus cargo resupply spacecraft arrived at the International Space Station early in the morning Eastern Standard Time, and was grappled by astronauts using the station's robotic arm at 7:28 a.m. EDT. The astronaut crew berthed Cygnus to the station's Unity module at 10:53 a.m. EDT. In the next few days the crew will open the hatch and begin to unload the cargo. For the OA-5 mission, Orbital ATK’s Cygnus advanced maneuvering spacecraft is carrying approximately 2,400 kg (5,290 lbs.) 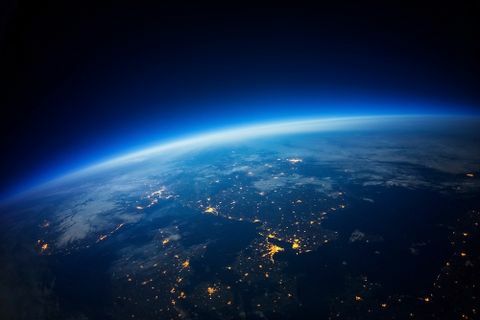 of supplies and science experiments for the International Space Station (ISS). 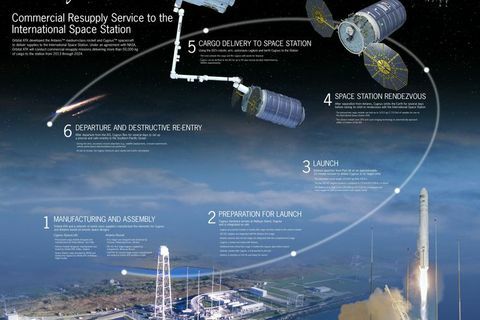 Under the Commercial Resupply Services (CRS) contract with NASA, Orbital ATK will deliver approximately 30,000 kilograms of cargo to the space station. OA-5 is the sixth of these missions. 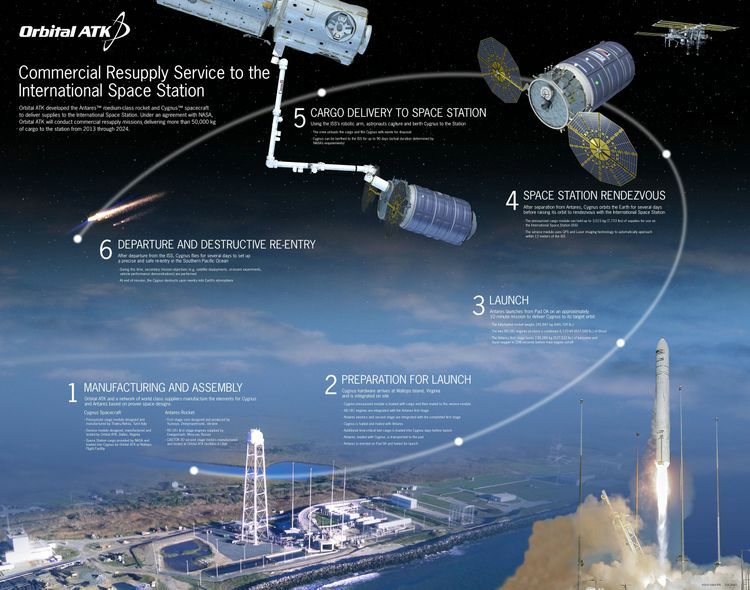 Cygnus was launched into orbit using Orbital ATK’s upgraded Antares launch vehicle from Virginia Space’s Mid-Atlantic Regional Spaceport Pad 0A on Wallops Island, Virginia at NASA’s Wallops Flight Facility. 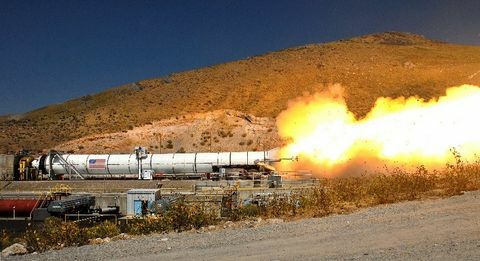 The upgraded Antares features all new RD-181 engines which provide increased performance and flexibility to the Orbital ATK cargo delivery service. After being launched into low-Earth orbit, the Cygnus spacecraft used its substantial maneuvering capability to transport the cargo from a low parking orbit to the ISS where it was grappled by the station's crew using the station’s robotic arm and berthed to the station. After the cargo is removed and any disposal items are added, Cygnus will depart from the ISS, and begin secondary payload missions. For the OA-5 mission, Cygnus carries the Saffire-II payload experiment to study combustion behavior in microgravity. Data from this experiment will be downloaded via telemetry. In addition, a NanoRacks deployer will release several Cubesats. These secondary payload operations will be conducted after Cygnus departs the space station. 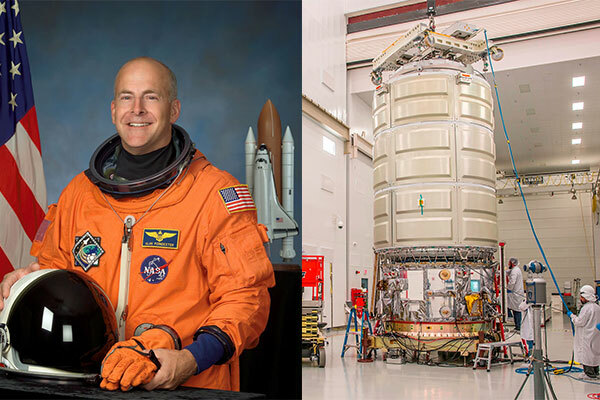 The Cygnus spacecraft for the OA-5 space station cargo resupply mission is named in honor of former astronaut and Naval Aviator Captain Alan Poindexter. Selected for NASA's astronaut program in 1998, he flew on two space shuttle missions during his career as an astronaut. Learn more about Alan Poindexter here. Cargo is delivered to the station using Orbital ATK’s Cygnus spacecraft. The Cygnus spacecraft consists of two modules: the Service Module (SM) which incorporates the avionics, propulsion and power systems from Orbital ATK’s flight proven LEOStar and GEOStar spacecraft buses; and the Pressurized Cargo Module (PCM) which carries the crew supplies, spares and scientific experiments. The SM is integrated and tested at Orbital ATK’s Dulles, Virginia satellite manufacturing facility. The PCM is supplied by Thales Alenia Space and is produced in Turin Italy.